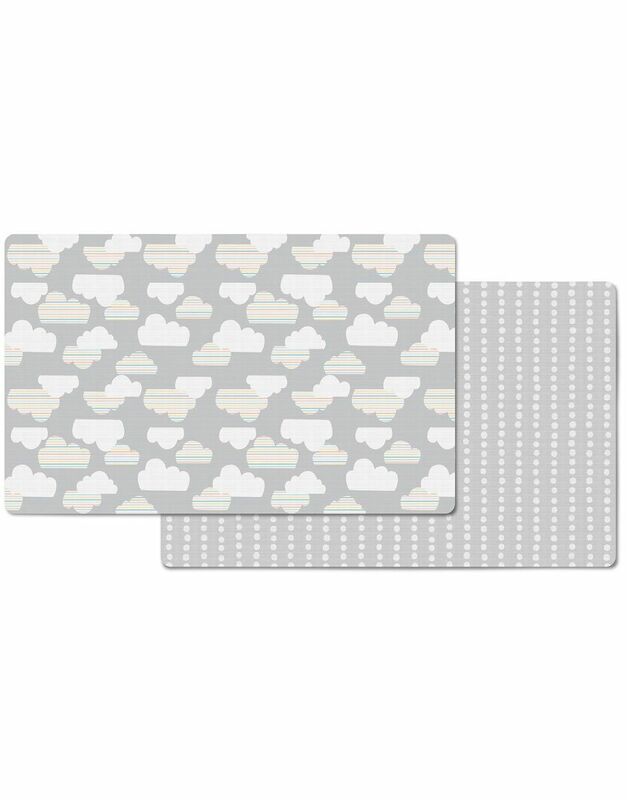 Designed to double the choices for stylish, baby-safe floor covering, our reversible playmat flips from a colorful kid-friendly pattern to a modern d�cor print for two looks in one. Completely PVC-free, the easy-care foam mat provides a jumbo-size cushioned play space that works equally well in the living room or playroom. 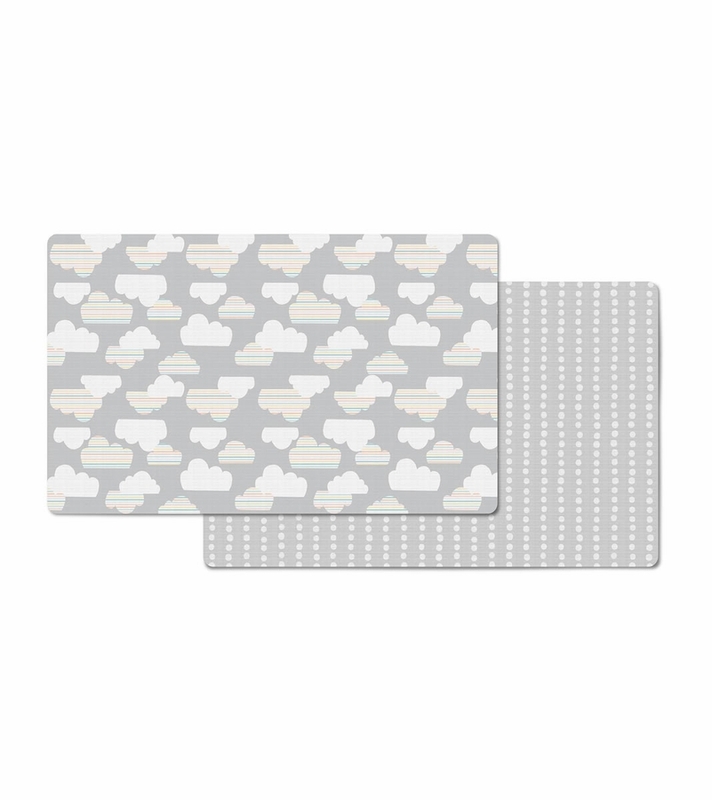 Simply roll the baby mat up for convenient transport and storage.